If you or someone you love is struggling with the pain and stiffness of osteoarthritis or rheumatoid arthritis and you have seemingly tried everything to try to get relief, then continue reading this article to the end and see if this information about relieving the symptoms of arthritis with Chinese herbs could just change your life or the life of your loved ones. Arthritis is an inflammation of the joints. It can affect one joint or multiple joints. There are more than 100 different types of arthritis, with different causes and treatment methods. Two of the most common types are osteoarthritis and rheumatoid arthritis. Joint pain, stiffness, and swelling are the most common symptoms of arthritis. Your rheumatoid arthritis range of motion may also decrease, and you may experience redness of the skin around the joint. Many people with arthritis notice their symptoms are worse in the morning. Normal wear and tear cause osteoarthritis, one of the most common forms of arthritis. An infection or injury to the joints can exacerbate this natural breakdown of cartilage tissue. Your risk of developing osteoarthritis may be higher if you have a family history of the disease. Another common form of arthritis, rheumatoid arthritis, is an autoimmune disorder. It occurs when your body’s immune system attacks the tissues of the body. These attacks affect the synovium, a soft tissue in your joints that produces a fluid that nourishes the cartilage and lubricates the joints. Rheumatoid arthritis is a disease of the synovium that will invade and destroy a joint. It can eventually lead to the destruction of both bone and cartilage inside the joint. A number of different types of medication treat arthritis: Analgesics, such as hydrocodone (Vicodin) or acetaminophen (Tylenol), are effective for pain management, but don’t help decrease inflammation. Immunosuppressants like prednisone or cortisone help reduce inflammation. Immunosuppressants like prednisone or cortisone help reduce inflammation. In an acute injury situation, the pain experienced from a simple cut or bruise subsides pretty quickly relative to the amount of time these injuries take to completely heal. This is because your body produces its natural painkilling chemicals (called endorphins and norepinephrine) to help your body continue to function as close to normal as possible. These painkilling chemicals are able to dull the pain signals relatively quickly to relieve your pain. Unfortunately, acute pain can become a chronic pain when repeated activation of pain receptors (called NDMA receptors) makes them more excitable and/or sensitive. When this happens, the receptors require less input to receive a pain signal. But what if you want to try a 100% natural way to help with your arthritis? If you have tried many ways to help with the pain and discomfort of your arthritis, then maybe we have exactly what you have been looking for. 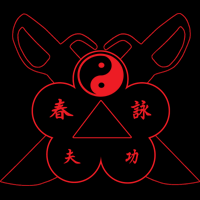 Our formula of Dit Da Jow is 100% herbal and based on the ancient wisdom of Chinese medicine handed down through generations and are used not just by martial artists but by members of their families that have been suffering from arthritis and other aches and pains. Many customers who have used this formula have reported greater rheumatoid arthritis range of motion, decreased stiffness, and reduced pain as well as many reports of complete healing and recovery and reduced chronic pain. 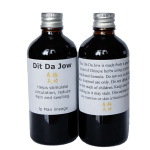 We recommend that customers apply our Dit Da Jow formulas several times within one hour 2-3 times daily for best results.